2600 - Hacker news quarterly. Academy of Reverse Engineering - Reverse engineering essays. AntiOnline - Educating you about the weaknesses in your system. Black Hat - Provides event attendees with the latest in information security research, development, and trends in a strictly vendor-neutral environment. Black Hat Briefings and Trainings are held annually in the United States, Europe and Asia, providing a venue for elite security researchers and trainers to find their audience. Computer Underground Digest (Cu Digest) - The Cu Digest was a more-or-less weekly digest/newsletter/journal of debates, news, research, and discussion of legal, social, and other issues related to computer culture. CuD likely published its last issue in March, 2000. See also, the Computer Underground Digest Archives. Court Banned Citibank PIN Cracking Documents - Vulnerabilities in the cryptographic equipment commonly used to protect the PINs used to identify customers to cash machines. Also see PIN Recovery Attacks (.pdf). Presented by Jolyon Clulow. Cryptosphere, The - Covering the world of hackers, hacktivism, cyberwar, cryptocurrency, leakers, spies, viruses, trojans, worms. Cult of the Dead Cow - Developer and provider of Internet privacy and security tools free to the public. Hacker news, issues, files. CyberArmy Headquarters - A group of netizens who believe in a deregulated Internet free from external control. 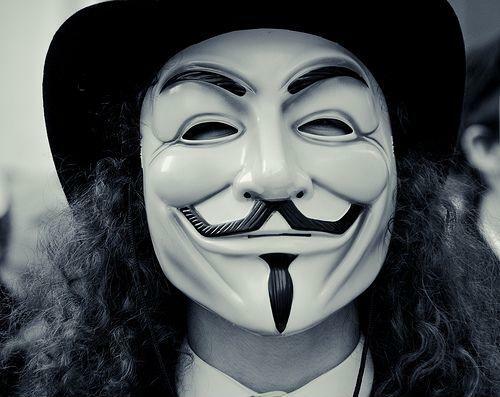 CyberArmy provides tools to assist others who believe in a free Internet Supports Open Source. CyberWarNews (CWN) - News blog on hacking and related news. Cyberwarzone (CWZ): Cybercrime Revealed - Cyberwar news, cybercrime news, tools. Cypherpunks - Links to PGP, remailers, rants, various crypto-tools, newspaper clippings, and other things. Def Con - Annual computer underground party for hackers held in Las Vegas, Nevada. People attend to meet others into hacking, hang out with old friends, listen to new speeches or just hack on the network. Denial of Service Project's Trinoo Analysis - Analysis of the DoS Project's "trinoo" (a.k.a. "trin00") master/slave programs which implement a distributed network denial of service tool. DShield-Distributed Intrusion Detection System - An attempt to collect data about cracker activity from all over the Internet. Elliptic Curve Cryptosystem (ECC) Challenge - The challenge is to compute the ECC private keys from the given list of ECC public keys and associated system parameters. This type of problem faces an adversary who wishes to completely defeat an elliptic curve cryptosystem. Exploding the Phone - Phil Lapsley's Exploding the Phone traces the birth of long-distance communication and the telephone, the rise of AT&T's monopoly, the creation of the sophisticated machines that made it all work, and the discovery of Ma Bell's Achilles' heel. Lapsley expertly weaves together the clandestine underground of phone phreaks who turned the network into their electronic playground, the mobsters who exploited its flaws to avoid the feds, and the counterculture movement that argued you should rip off the phone company to fight against the war in Vietnam. Freedom to Tinker - Weblog discussing the freedom to understand, discuss, repair, and modify the technological devices you own. Freak's Macintosh Archive - Security hacking, cracking, and warfare for the Macintosh. Grindhouse Wetware - An open source biotechnology startup company based in Pittsburgh, Pennsylvania. Grindhouse applies the biohacker ethic to create technology that augments human capabilities. The company is most well known for their Circadia device, a wireless biometric sensor that was implanted into co-founder Tim Cannon in October 2013. See Wikipedia. Hacker News, The - News source dedicated to promoting awareness for security experts and hackers. Based in New Delhi, India. Hacker Wars, The - A ilm about the targeting of (h)ac(k)tivists and journalists by the US government. Directed by Vivien Lesnik Weisman, it opened theatrically in New York, on 17 Oct 2014 at the Village East Cinema. Hackers - Hackers, crackers, phreakers and warez traders. Hackers On Planet Earth (HOPE) - A conference series sponsored by the technology enthusiasts magazine 2600: The Hacker Quarterly. Also see Wikipedia backgrounder. Hackerspaces - Community-operated physical places, where people can meet and work on their projects. HackingTeam - Provides effective, easy-to-use offensive technology to the worldwide law enforcement and intelligence communities. Hacktivismo - An international group of hackers, human rights workers, lawyers and artists that evolved out of The Cult of the Dead Cow (cDc), a publishing and computer security group. Believes privacy and access to information are basic human rights. Hacktivismo assumes the principles enshrined in the Universal Declaration on Human Rights and the International Convention on Civil and Political Rights. It also supports Free Software and open-source movements. Conducts and publishes scientific research in the areas of information technology, communications and electronic media. Assists (where possible) non-governmental organizations, social justice groups and human rights entities in the use of advanced information technologies for the furtherance of their works. Happy Hacker - Dedicated to good old-fashioned harmless hacking. Computer crime news, updated every 15 minutes. History of Phone Phreaking - How did phone phreaking start? Who were the first phone phreaks? What motivated people to undertake this interesting but illegal hobby? What did the telephone company think about them? How did the government view them? How to Fake Fingerprints - From Chaos Computer Club e.V. Intrusion Detection Pages - Presents information about intrusion detection and intrusion detection research and a hotlist of Internet resources associated with intrusion detection. My Hacker House - Teaches what hackers can learn about your business and systems so that preventative solutions to protect your assets can be applied. Nomad Mobile Research Center - Projects and papers written from the perspective of the unwanted intruder. Research into bugs and holes in commercial networking software. Hacks and cracks. NOTACON - Annual hacker conference held in Cleveland, Ohio. Peacefire - Information on how to disable censorware programs and circumvent censorship. PHRACK Magazine Archives - Founded by Taran King and Knight Lightning in 1985, PHRACK started getting the attention of the BBS world a short time into its run, with its collections of information-filled articles and "Phrack World News" which would add some real character to the subculture. Later, Phrack "Pro-Philes" gave stories behind the handles and let people learn what made the more famous or infamous hackers what they were. Port Scanning - A backgrounder: Port scanning is one of the most popular reconnaissance techniques attackers use to discover services they can break into. All machines connected to a Local Area Network (LAN) or Internet run many services that listen at well-known and not so well known ports. By port scanning the attacker finds which ports are available (i.e., what service might be listing to a port). Essentially, a port scan consists of sending a message to each port, one at a time. The kind of response received indicates whether the port is used and can therefore be probed further for weakness. Soapy - A web browser plug-in that allows users to visit websites blocked by SOPA by automatically redirecting them to the site's IP address. It focuses on the DNS-blocking technique favored by oppressive regimes and middle management. Because this is designed to go around a complete block, HTTPS is disabled for sites covered by this plugin. SPECTER - SPECTER is a smart honeypot or deception system. It simulates a complete machine, providing an interesting target for hackers to lure them away from the real machines. SPECTER offers common Internet services such as SMTP and FTP which appear perfectly normal to the attackers but in fact are traps for them to mess around and leave traces without even knowing that they are connected to a fake system which does none of the things it appears to do but instead logs everything and notifies the appropriate people. SPECTER can even investigate the originators while they are still trying to break in. Tribe Flood Network Distributed Denial of Service Analysis - Analysis of the Tribe Flood Network, or TFN, by Mixter. TFN is currently being developed and tested on a large number of compromised Unix systems on the Internet. zone-h - Unrestricted information on penetration, defacement, antivirus, antispam, hacking. This webpage last updated on Tuesday, May 16, 2017 9:00 AM.